Filing for Chapter 11 protection would halt the thousands of lawsuits alleging the drug manufacturer used deceptive practices to push addictive drugs that led to fatal overdoses. 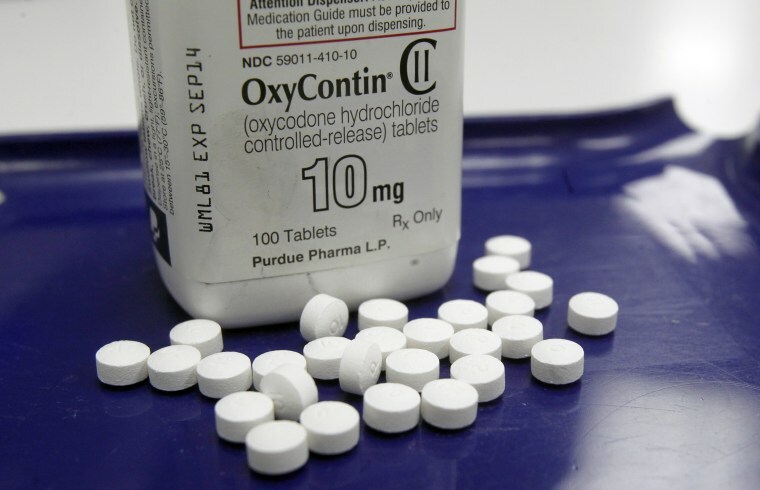 OxyContin maker Purdue Pharma is exploring filing for bankruptcy as one of its options to address potentially significant liabilities from thousands of lawsuits alleging the drug maker contributed to the deadly opioid crisis sweeping the U.S., a source familiar with the matter confirmed to NBC News Monday. The possible bankruptcy filing was first reported by Reuters. As of 2019, no members of the Sackler family are on the Purdue board of directors, said a source familiar with the matter, although the family still owns the company. A Purdue bankruptcy filing is not certain, the sources said. The Stamford, Connecticut, drug maker has not made any final decisions and could instead continue fighting the lawsuits, they said. "As a privately held company, it has been Purdue Pharma’s longstanding policy not to comment on our financial or legal strategy," Purdue said in a statement. Purdue faces a May trial in a case brought by Oklahoma's attorney general that, like others, accuses the company of contributing to a wave of fatal overdoses by flooding the market with highly addictive opioids while falsely claiming the drugs were safe. The court proceedings will be televised. Purdue tapped law firm Davis Polk & Wardwell for restructuring advice, Reuters reported in August, fueling concerns among litigants including Oklahoma Attorney General Mike Hunter that the company might seek bankruptcy protection before the trial.